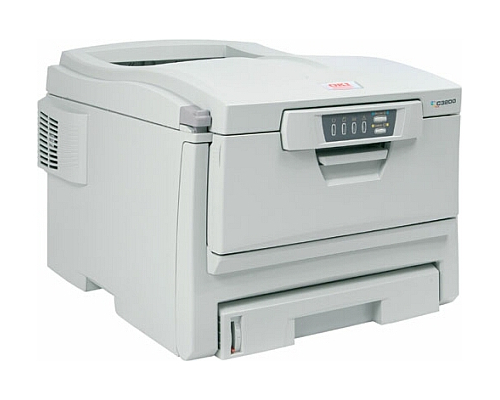 The OkiData C3200 / C3200n printer truly is a cost effective way to add color laser printing capabilities to the small office, though its performance specifications leave much to be desired. Overall, it is a fairly bare bones unit to start with, though there is a duplex expansion option. One of the most eye catching features of the OkiData C3200 / C3200n, if not its most impressive, is the fact this it is a color device that uses a single pass system that allows for extremely thick paper weights to be printed directly to. While many laser printers, monochrome and color alike, top out at pound weights in the 30s and 40s, this device can print to as thick as 110 lb weight paper. This means that even some of the heaviest card stock will sail through the machine without incident, whereas this could easily cause a jam in a different device. The OkiData C3200n version of the model comes with built in networking capabilities which is one of the most appealing features a small color laser device such as this can have. This is due to the fact that this allows an entire office that may not require frequent color printing access to a device that will allow its users occasional usage when necessary, which is a cost effective way to add color. Though the OkiData C3200 / C3200n’s monochrome print speed is decent enough, clocking in at 20 pages per minute, color print speed takes a drastic hit all the way down to 12 pages per minute. Toner and drum units for the printer can be very expensive for this unit due to the unique consumables setup, though the printer itself could be found relatively cheap, if at all. First page out times for the unit vary in effectiveness, where the color first page out time is a very sluggish 14 seconds. Monochrome first pages will appear in a more acceptable 9 seconds. The maximum print quality also leaves something to be desired due to the nature of the unit. With only 1200 x 600 dots per inch attainable, the OkiData C3200 / C3200n would not be acceptable for photo printing. 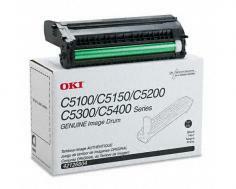 Review it: "OkiData C3200 "
While the majority of color laser printers use a single, large drum unit to house four different color toner cartridges, the OkiData C3200 / C3200n takes a different approach. Each individual toner cartridge has its own drum unit. 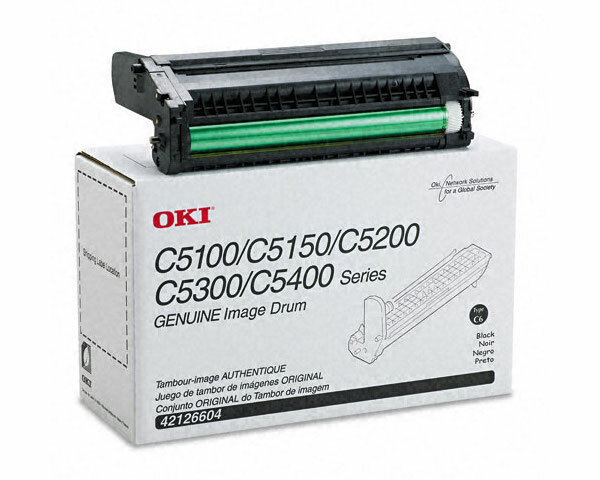 The drum units are very expensive, but can hold up to 15,000 pages worth of yield each at 5% coverage, which means they only need to be replaced about a third as often as the toner cartridges. 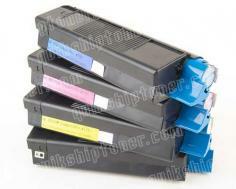 The toner cartridges themselves are actually quite inexpensive, though their page yield is lower at 5,000 pages each. This system is actually fairly efficient when you consider that no amount of drum yield will be wasted due to uneven color printing. Still, with four drums and a black, cyan, magenta, and yellow cartridge, an entire refill of ink can cost around five hundred dollars, which is more than the printer itself would cost.